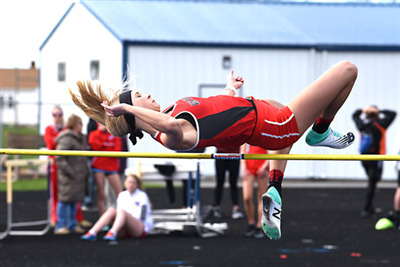 OTTAWA — The Cougars fared very well at Ottawa-Glandorf’s Gold Medal meet on Friday. Oak Harbor won both girls and boys divisions— the Cougars finished second in the boys and fifth in the girls. 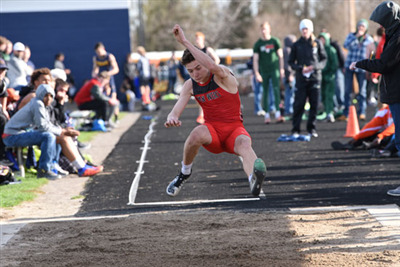 Jacob Hart was the best sprinter for Van Wert on Friday as he won the 100m (10.94) and 200m (22.50) dashes. He was also apart of 4x 200m squad that took second, along with Ethan Brown, Blake Henry and Nathan Jackson. Gage Chiles took 1st in the 3200m run (10:15). He finished a full 21 seconds before the second best runner. Asnake Steyer finished second in the 1600m run. Jamison Clouse finished third in the high jump for the girls, as she cleared 5’0. Blake Henry finished 1st in the event for the boys, clearling 6’2. Van Wert dominated the throwing competitions, as Jill Gemmer (35’ 5) and Austin Clay (57’7) both won the shot put events. Kirsten Clay finished right behind Gemmer in the girls’ flight. Kirsten Clay won the girls’ discus event with a toss of 137’2. Austin Clay took second with a throw of 154’ 8. Van Wert will partake in a WBL quad on Tuesday in Kenton.